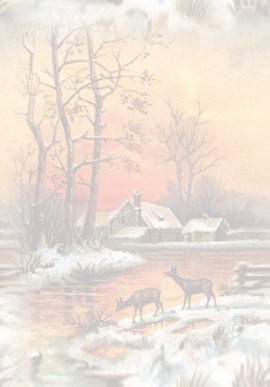 My favorite song is "Camelot," but I have used that on our other web site, thehouseofjossey-josey.org. So, I am playing my second favorite song, "My Way." I hope you enjoy it while you spend time on my page. "My Way," is also apropos in the sense that I have been told that I am opinionated and tend to do things "My Way." This is a perfect background for my family tree graphics at the top, since I am such an avid genealogist. I will go into that at the end of this page. I was born in Louisiana more than 70 years ago, January 10, 1934, on a Wednesday at 3:00 pm, and am the eldest of seven children, five girls and two boys. This photo to the left is the only baby picture that was taken of me, as far as I know, and my adorable Aunt Hazel gave me this picture. 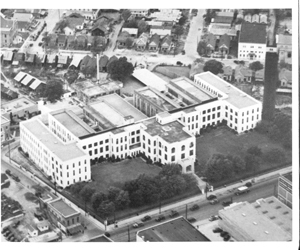 Below are some photos, courtesy of Carole Wood, of the Shreveport, LA Charity Hospital, as it appeared at the time we were all born, in the 1930's and 1940's. I took a short writing class at USF, and one thing we were to write about was on the turning points in our lives. One turning point for me was losing a sister, Wanda Ruth, to leukemia at the age of 2 1/2. Our dad took mechanic jobs wherever they were available and we moved around a lot. Mother stayed home and took care of the children, as most women did in those days. The days of the 30's and 40's and sacrifices that had to be made, really tested one's mettle. With the depression and then WWII, those were definite turning points. It is quite an understatement to say that period ingrained in all of us an attitude that speaks volumes when we say "I am really thankful for what I have today." 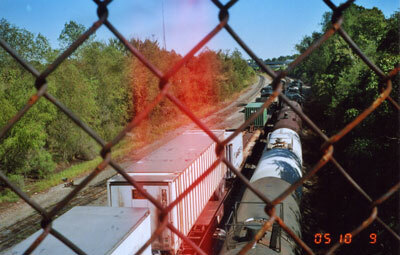 As stated in Tom Brokaw's "The Greatest Generation," "we lived lives of innocent deprivation in our childhood." As stated above, our dad was a mechanic by trade and a flight engineer in the Army/Air Corps during WW II. Mother worked in a defense shell plant for a period during WW II. 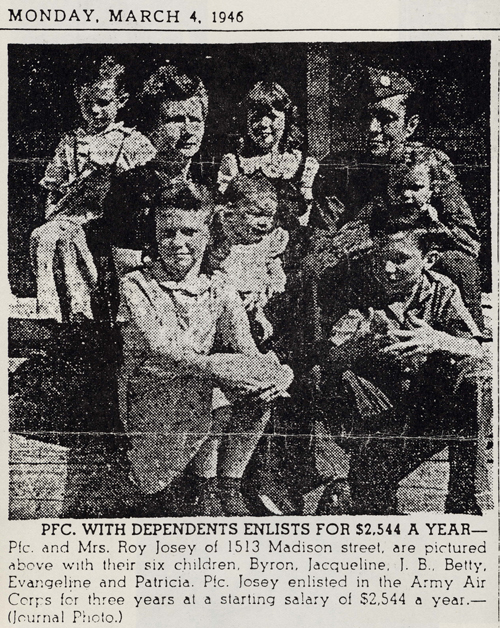 There was an article in the local newspaper (I am pretty sure it was the Shreveport Times or Journal) when our dad was in the service about the PFC with six dependents and how he earned $2,544 a year in the service. Our positions are front - left to right - Jacqueline (Jackie), James (Buddy), behind me is mother holding Patricia (Pat), daddy holding Betty, behind mother is Byron (Bo) and in the center is Evangeline (Angie). Still do not know how Betty never got a nickname. 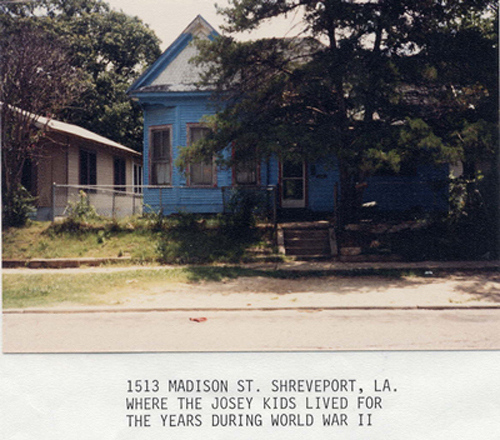 My fondest memories are of spending the most part of my summers with "Granny Josey" in Vivian, LA. I also have fond memories of going to Texas to spend time in the summers with Uncle Lloyd, Aunt Hazel and Shirley. You can find pictures of all three of them on my mother's 75th birthday page. They were such a beautiful family. You will discover more about "Granny" on her page. Everyone should have a special "Granny" like that in their lives. However, I have enjoyed my visits with Granny's last living daughter-in-law, my Aunt Lessie Josey, who is still living in Vivian, LA. She has shared so many great stories with me when I have visited with her. She is pretty special too. 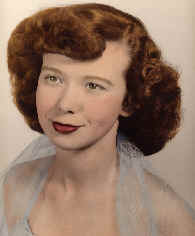 Sad update - We lost Aunt Lessie February 1, 2010. I truly miss her so much. As children, we visited some other relatives a few times in the summers and more than once we spent all day with a cotton pickin bag draped over our shoulders and dragging the ground. We thought that with a whole day's worth of picking cotton, we were going to be rich. You can imagine our shock when we got one nickel for that entire day's work. Ah, such memories! And, my brother, Buddy, had a paper route in the mid-1940's, and we would get up at 4:00 a.m. to go fold and throw those papers while carrying the long canvas bag over our shoulders, and later getting a bike to deliver the papers on. We loved to play hopscotch, jump rope, jacks, cut out paper dolls, skate with a pair of skates that clamped onto our shoes, played baseball, with a stick and a ball of string rolled up into a ball, kick a tin can around with a stick, and sometimes we stomped on cans until they fit around our shoes and walked with them on. Buddy says that was stupid, wasn't it? We built kites out of newspaper and apple crate pieces which were thin enough to make a frame for a kite, and we used egg whites for glue on the kites. Sometimes we made a glue/paste out of flour and water. We used pieces of old bed sheets for a tail on the kite. We played Old Maid and Battle in cards. We loved playing marbles, and we had our favorite marbles, iggies, cat eyes, etc. and traded marbles all the time, per Betty Gale. A friend just sent me an e-mail about an American soldier sending a German parachute home at the end of WWW11 and his future bride had her wedding dress made out of it. That triggered a memory that I had not thought of for so many years. My dad was in the Army/Air Corps during WW11 and mainly was on planes in the Pacific area. In the early 40's, he brought a parachute home once and mother made all four of us girls beautiful blouses out of it with drawstring necklines. 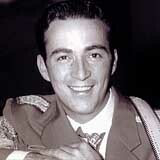 I can see it in my mind as clearly today as I did in the early 40's, even though I am 82 now. Can't believe I neglected to add that tid bit to my life story. Another fond memory was when we had a nickel to attend the Saturday matinees where we thoroughly enjoyed the westerns with Gene Autry, Roy Rogers, Hopalong Cassidy, Johnny Mack Brown, The Lone Ranger (with Tonto), and many others. We could stay all day and watch them over and over and we took advantage of that. The popcorn cost a nickel and the ticket cost a nickel, but they gave a free pass on about every tenth box of popcorn, so we stood outside and watched and counted the people in line and then jumped in at the time it was to be the tenth box, and we got a free pass. We were always glued to the radio to listen to Stella Dallas, The Green Hornet, The Shadow, Superman, Inner Sanctum, Fibber McGee and Molly and the infamous closet, etc. Here is a picture of me to the right about 1949. We did not have pictures taken when we were young, for the most part, and what I have retrieved came from many kind folks. And, another fond memory was finding a dear friend, Irving Heard, after 50 years. We went through elementary and high school together, and he attended our 50th class reunion in 2002. Finding that friend after 50 years, along with such a beautiful wife, was one of the highlights of my life. You will find out who I am talking about when you go to the bottom of the lady bug page, where I have a picture of Irving as a little boy who I grew up with and then one of him today with his lovely wife, Bev. Mother - I can't say enough about our mother. Living in those depression and World War II days was nothing short of desperate times. 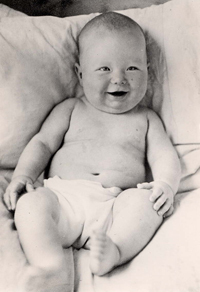 Mother almost had to put us in an orphanage at one point in the forties. But, she stuck it out and kept us all together. I am sure that the average person would have thrown their hands up and not dealt with all that she was facing. We only got one pair of shoes at the beginning of school. Our dresses for the girls and the boys shirts were made from printed flour sacks. Nope, I am not making that up. One particular memory was when our dad came home on furlough and he had a parachute which mother cut up and made blouses for us girls. I'm not sure if she made shirts for the boys or not. Buddy or . Here is our house in WWII, just double click on it. 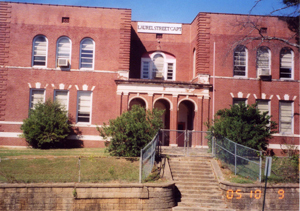 This is Parkview Elementary and Jr. High School, in Shreveport, LA, that we attended before we went into Fair Park High School. It is now named Laurel Street Capt. We walked quite a distance each day from the house just above to school and then back home for lunch, and back home in the afternoon. We saved all foil, from gum wrappers, cigarette packages, etc., for the war effort. Margarine was a white fatty/lard/substance that had a little orange capsule in the package and you squeezed that and then mixed the whole thing in the bag before you opened it. Butter was non existent for average folks. Gas was rationed for those who had cars. We did not have a car. Sugar and coffee were rationed, with each family getting so many stamps per month. We had no telephone. Margie Sneed was a great friend, who came in and took our family under her wing, and helped out a lot. In fact, Chuck and I were married in Margie's home. But, back to mother for a moment. She could go into the kitchen and take the last thing that was in the kitchen and make a meal for all seven - eight of us. I loved mother's cooking. No one could make chicken and dumplings like mother. And, her corned beef and cabbage - oh, my - what a dish that was. I also do not think anyone could make home made corn bread like mother's. She made biscuits from scratch as she did everything else. We loved to come home from school and have cold biscuits with mayonnaise and onions on them. One of our favorite snacks was buttermilk and chocolate cake too. I know, you don't believe that one either. Another different dish was one that Granny passed down, sautéed green onion tops with scrambled eggs. Mother's fried okra was mouth watering too. You can't even imagine how delicious mother's divinity candy was. No one could come close to making divinity and fudge like mother did, except for Betty, and I think she inherited some of mother's talents in that arena. I could go on and on, but mother has her page too that you can learn more about her on. As much as I miss the people that I write about on this web site, mother is, by far, the one I miss most and it pulls at my heart strings as I write about her. 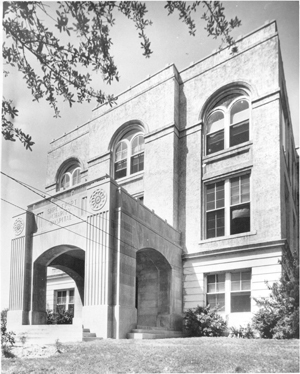 I went to school at Vivian, Ringgold, Allendale and Parkview Elementary and Jr. High and then Fair Park High school in Shreveport, LA. I was in the Glee Club, Archery Club, Civics Club, Y-Teens Club, and in the "A" Choir as an alto. We traveled and performed for many civic organizations, such as the Lions' Clubs, Rotary Clubs and others. As many people would say today, they find it difficult to believe that I actually sang in a top choir, considering my voice today. I always did think Ms. Congdon just allowed me to be in the choir, because she knew that I wanted to be in it so much. 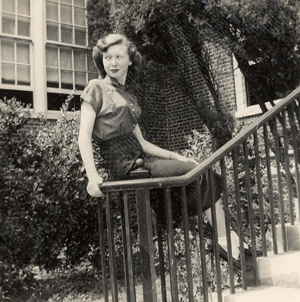 Here is a picture of me on the right in front of Fair Park High School, and I think it was taken about 1951 or 1952. I have to put a word in here about another turning point. That was Ms. Jennie Jones, who was, especially by today's standards, a very stern and tough teacher. If we found out at the beginning of the year that we had her, we panicked. She scared all of us to no end and she had a sign over her door that said "Fools rush in where angels fear to tread." But, she had a huge impact on my life. She was forever, by far, my favorite teacher. "Jennie" was responsible for ingraining so many important values and attitudes in so many lives. I would wish that each of our grandchildren might have a "Jennie Jones" to teach them one year. Some forty years after graduation, I was able to tell that marvelous teacher at one of the class reunions that she had always been my favorite teacher, and what an impact she had on so many lives, especially mine. Click on the thumbnail above to read an article about Ms. Jones. Then click on the lower right side to enlarge again. You may have to scroll a little to the right to read the last column. 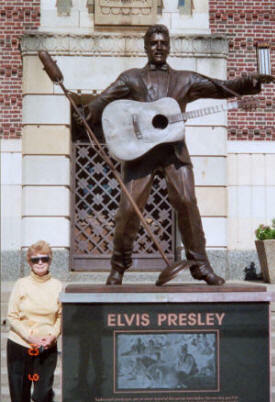 Legend has it that Elvis sang Blue Moon of Kentucky on a radio station and the DJ recommended that he go to the Louisiana Hayride in Shreveport, LA. He did; it was his first real public appearance and from there, the rest is history. Thought this map was interesting so I decided to put it on here. 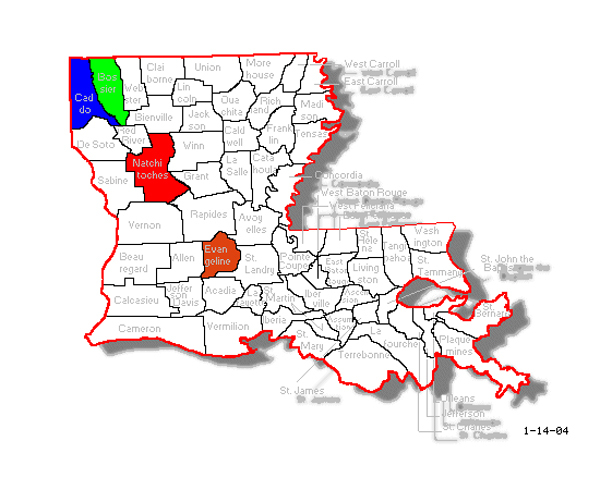 For those of you reading this who are not familiar with the part of Louisiana I am from, the blue is it - Caddo Parish, LA. Please click on the "Next" button below to go to the second page of my life.